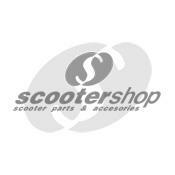 ScooterShop - Scooter parts & accessories » Variator - sliders » Sliders Malossi for Malossi variator 125-300cc (set of 3). Sliders Malossi for Malossi variator 125-300cc (set of 3). Spare sliders for Malossi variators. Each set includes 3 sliders. It fits with variator codes 5111369, 5111577, 5111257, 5111258, 5111260, 5111324, 5111397, 5111567, 5111572, 5111594, 5111869, 5111875, 5111885, 5112133, 5112701, 5113134, 5113813, 5114272, 5112396, 5112463, 5113485.